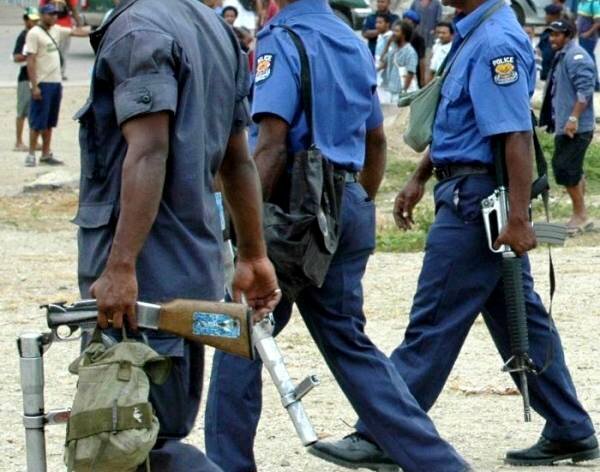 POLICE in PNG made four arrests in relation to six crimes reported nationwide on Monday 28th January, 2019 according to the daily crime summary provided by the office of the Deputy Commissioner of Police and Chief of Operations. The six crimes includes: two murders, one break-in domestic, one stealing and one Grievous Bodily Harm. Two crimes were reported in the Eastern Highlands Province, and four crimes reported in the National Capital District. Kidnapping – Pending - Complainants Jocelyn and Christopher Tiki reported that their adopted daughter Lucy Tiki, 17, from Oreii village in the Southern Highlands Province was selling betel nuts outside their house when the suspect kidnapped her. The suspect Joyce Ponde believed to be her biological mother who took her without her parents’ consent. The complainants claim they bought Lucy for K600.00 from her biological parents when she was two months old. The victim was under the care of the complainants for 17 years. Lucy is believed to have been locked up by her biological parents at the Eight Mile settlement. Matter reported to the police. Investigation is still pending. Stealing by False Pretense- Pending - Complainant Hebert Hongai reported that the suspect Andy Hamago hired the complainant’s vehicle and failed to pay the amount of K15,000.00 since last year. The vehicle a Toyota Land Cruiser, five door bearing registration number BDM 430, is now impounded at the Boroko Police Station. Break and Enter, Stealing (Domestic) – Pending - Complainant William Tokana reported that a known suspect broke into his dwelling house and stole a computer bag valued at K300.00, a bag of rice valued at K50.00, a pair of shoes valued at K160.00, a phone valued at K1,500.00 and a boom box valued at K800.00. The total cost of items stolen was K3,060. Nil items recovered. Investigation pending. Arson-Pending - Complainant Peter Pupun reported that his Duplex house cost around K700,000.00 was burnt to the ground at Gerehu Stage Six. Matter reported to the police and is being investigated. Willful murder and armed robbery - two follow-up arrests made - Two suspects were arrested and charged for willful murder and armed robbery. The accused Frank Jack and Beliga Dauma from Rigo Central province allegedly shot the deceased, injured his workmate and stole K35,000.00 cash when they were on a bank run. The suspects were armed with a pistol and waited in a stolen motor vehicle at the exit gate at Fortune Club, Gordons when the incident took place. Gulf Province; Missing person - A body was retrieved at the sea in Huritai village in Malalaua, Gulf Province. It is believed that the deceased was a PNG Defence Force soldier who was serving at the Taurama Barracks in the NCD. The soldier was on holiday. The PNG Defence Force was informed and members of the Defence Force are now at Malalaua to retrieve the body to Port Moresby. 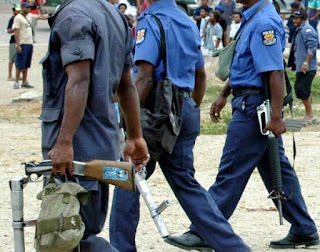 Milne bay Province; The bodies of a mother and her seven year old child were recovered at the shower room where they went into hiding when the notorious criminal Tommy Meava Baiker and his gang burnt down eight police houses in Alotau, Milne Bay Province. The deceased woman and her child were from the Misima Island in the Milne Bay Province. Police reinforcements together with criminal investigators and forensic officials are in Alotau investigating this and other related crimes committed on night of 23 January 2019. Eastern Highlands Province; The following major crimes of one Grievous Bodily Harm was reported with nil arrest made and one sexual touching reported with nil arrest made. All other centers nationwide reported nil major incidents for the last 24 hours.